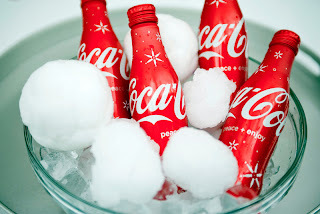 Last Thursday, Robert Verdi shared some cool ideas for hot holiday entertaining, presented by Coca-Cola. Media attendees tweeted along while Robert shared his stylish tips, and guests were able to join in by watching the live video stream and tweeting their questions and ideas to the twitterfeed using #RVTIPS. 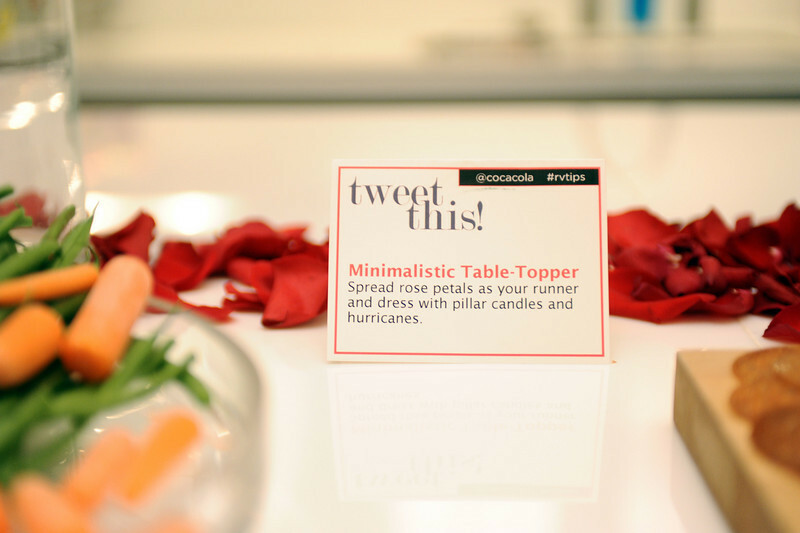 You can tweet your favorite Robert Verdi tip from the event to win all of his picks! Go to thervtips.com for more details. Pack shaved ice into snowballs as a festive winter-inspired way to serve Coca-Cola exclusive bottles and keep them cold! 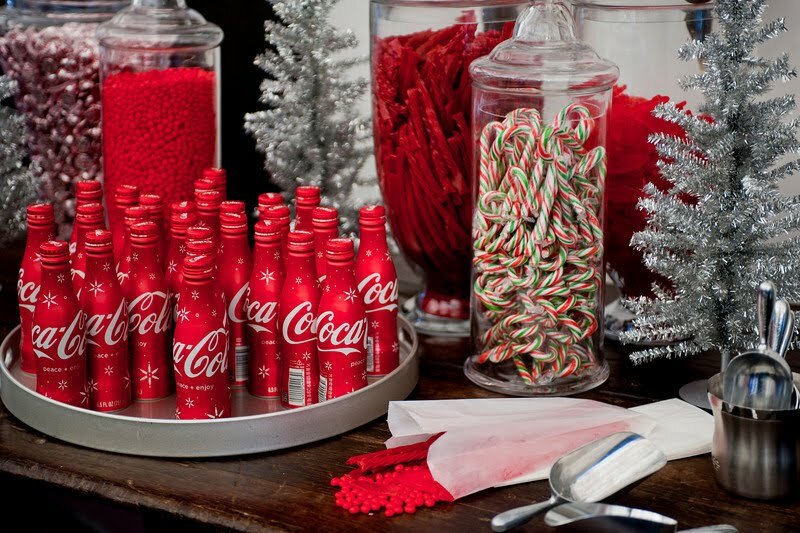 Fill different size glass jars with your favorite red candies.Add little bags for guests to fill up with their favorites to enjoy. 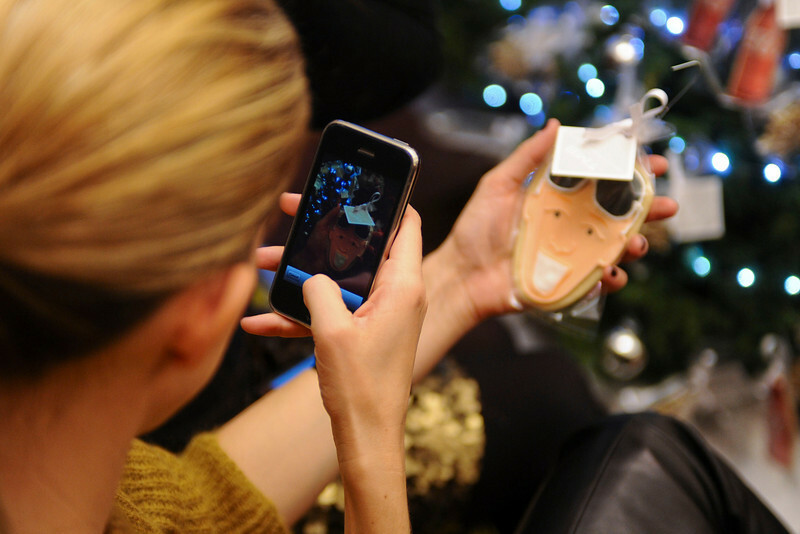 Take guests' photo with an instant camera & use as a placetag at the table! 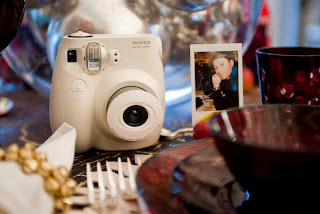 The Fujifilm Instax Mini 7S Instant Film Camera is one of my favorite gifts this holiday season! 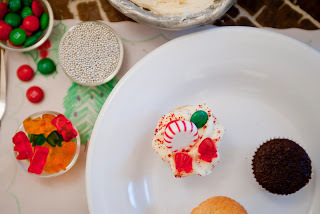 Mix n' Match antique dessert plates, found at antique stores or flea markets. 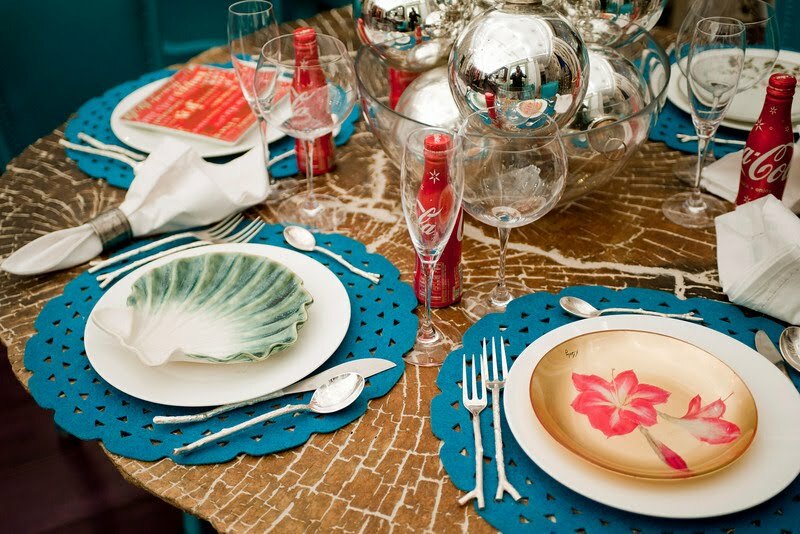 Set them upon traditional white dinner plates to draw everything together. PLACE MATS THAT PLEASE; Stylish way to keep kids at the holiday table! Fill vases with the colorful crayons! 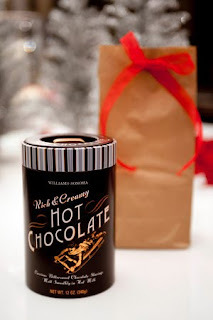 Give each guest a gift (like this Williams-Sonoma Hot Chocolate) to take home wrap in a brown paper bag and wrap with a festive ribbon. 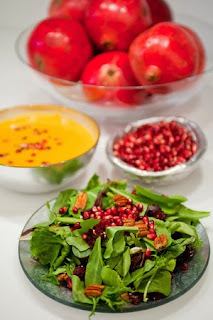 Cut the top with pinking shears. How to create candle holders: core apples and insert a taper candle for an organic feel to your tablescape! 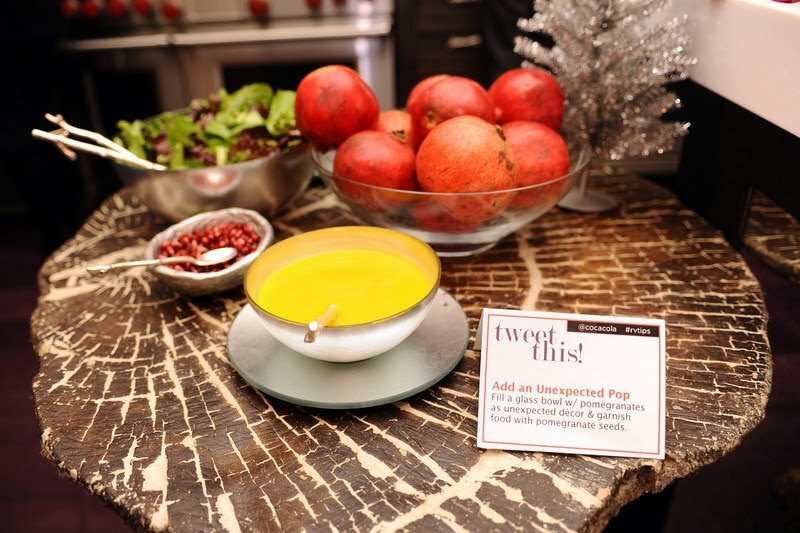 Stylish decor: pomegranates in glass bowls are a chic center piece! Garnish your salad or soup with pomegranate seeds! For dessert serve mini cupcakes-to decorate! 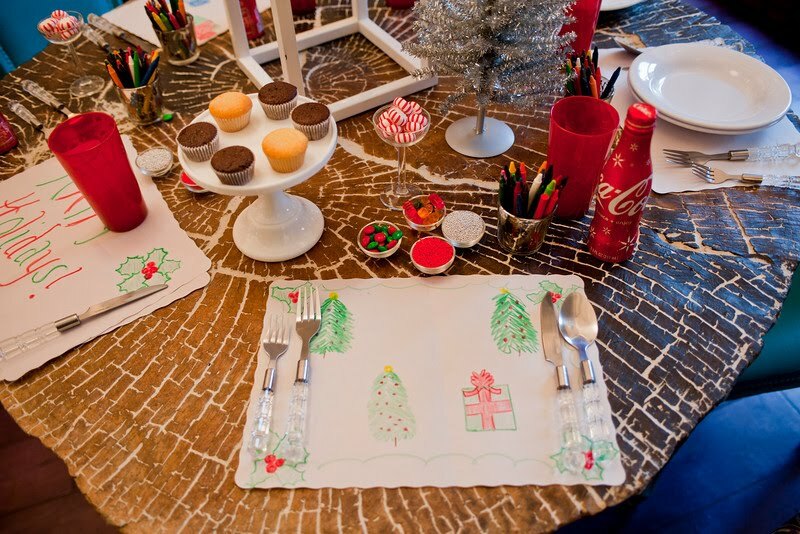 Bring festive sprinkles and frosting to the table and let kids decorate their own! 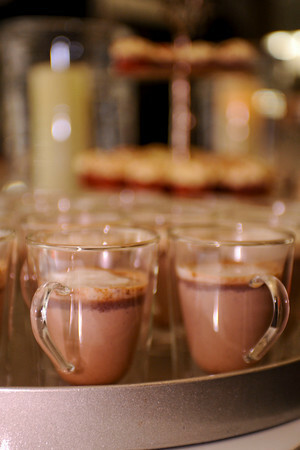 Here are some more images from holiday entertaining event. 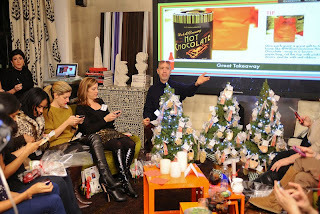 Tasty Morsels did a great job on this Robert Verdi cookie! Love the Williams-Sonoma Hot Chocolate - the perfect drink for a cold night! 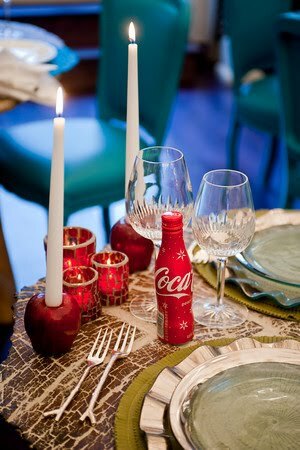 Robert Verdi's Cool Ideas for Hot Holiday Entertaining presented by Coca-Cola from Robert Verdi on Vimeo.